With a reach that spans across the remote mine sites of Western Australia, Eircom Electrical and Data can service your electrical and data requirements – no matter where in the state you happen to be. Our clients include the Water Corporation, Leighton Holdings, Barrick, HWE Mining, and many more. We have worked in the Kanowna and Paddington Gold Mines, Cloud Break, Port Headland, Focus Minerals, ARG and Pannawonica to name a few. 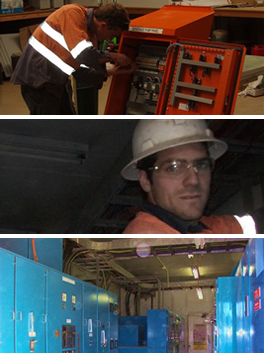 Our experience and expertise in electrical and data communications for remote mine sites means we are the contractors of choice in Western Australia. You can find out more about us by looking through this site and contacting our friendly admin staff on 08 9359 3734.